This is a mixed bag of 100 bullets. 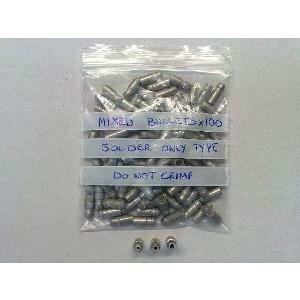 With 3 different sizes suitable for various wire size these are a must for your spares box. These are made from brass and (the vast majority) are tinned for easier soldering. This is a hard durable connector suitable for soldering. The bullets are tinned (a few are not) to ease this process. 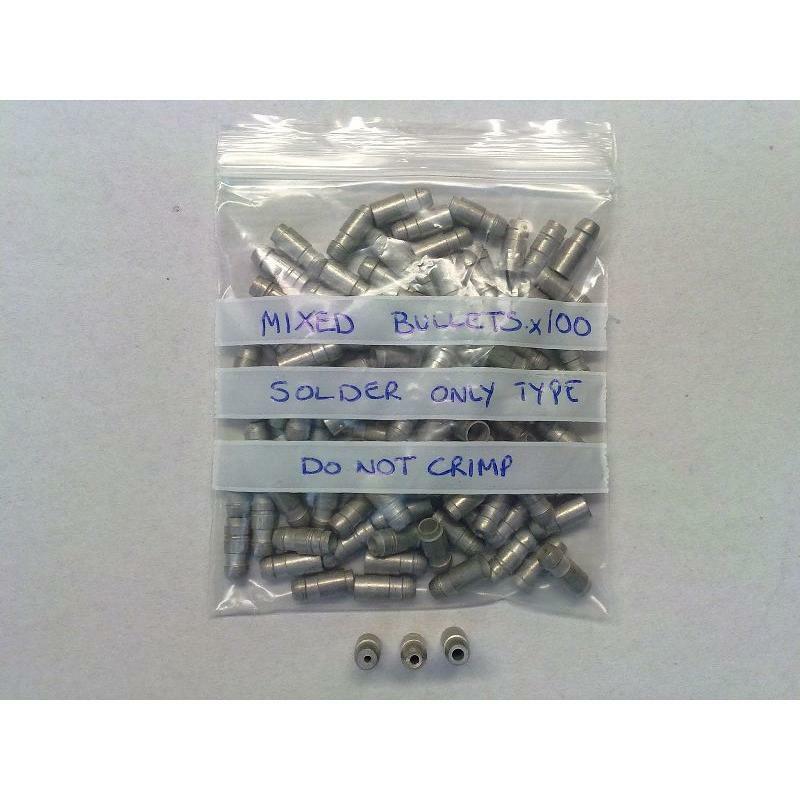 As they have been manufactured for soldering and in a tougher material they are not suitable for crimping. The bag has 3 sizes of about 34 of each size in each bag . Minimum 100 bullets.